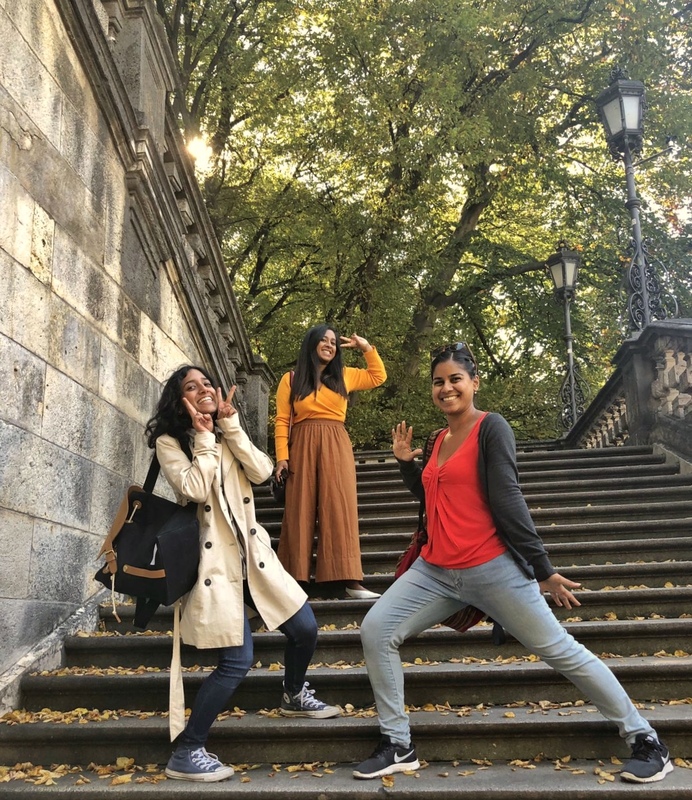 I’ve settled in pretty well, as I’ve moved into a lovely shared flat, have become accustomed to the new company, and even found a dance group I train regularly with. The thing I’ve been neglecting slightly is the blog… I’ve been doing a lot of cooking in my new big kitchen, but not necessarily new recipes, added to which the job is pretty busy, and I’m spending more time outdoors. I’m definitely not complaining about my new life, but I will try and spend some more time on writing in the next few months! 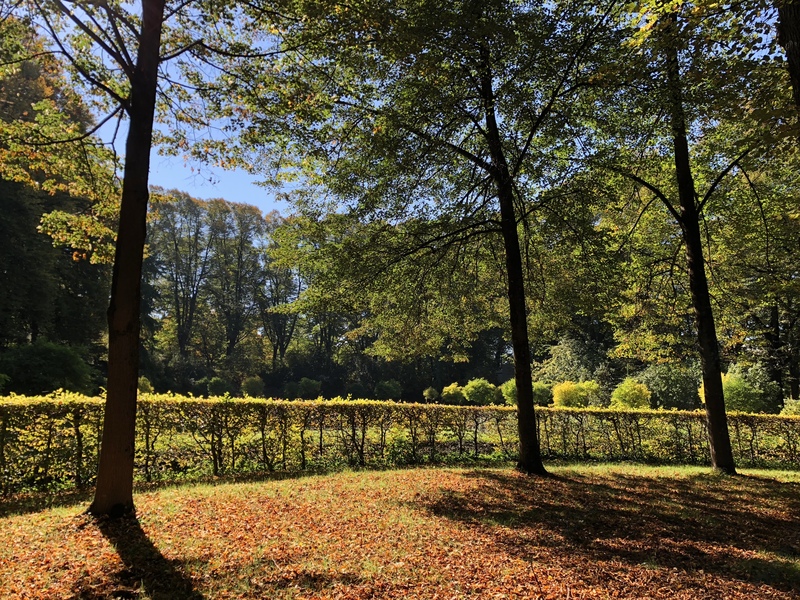 It may be mid-October, but the Bavarian heavens just can’t let go of summer. 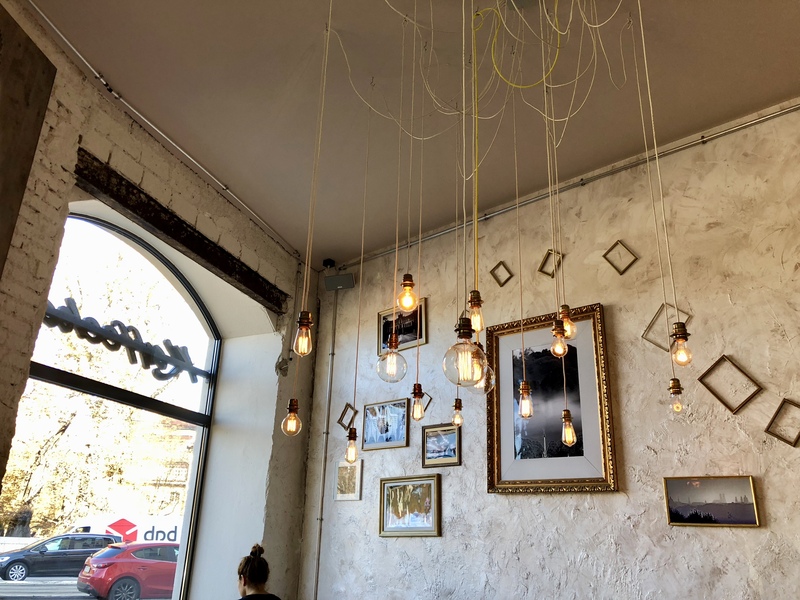 After the madness of Oktoberfest (which I’m still recovering from), we’ve had unexpectedly warm and beautiful weather, and so last weekend, I hopped on my bike and met a few friends for brunch at Cafe Rosi. 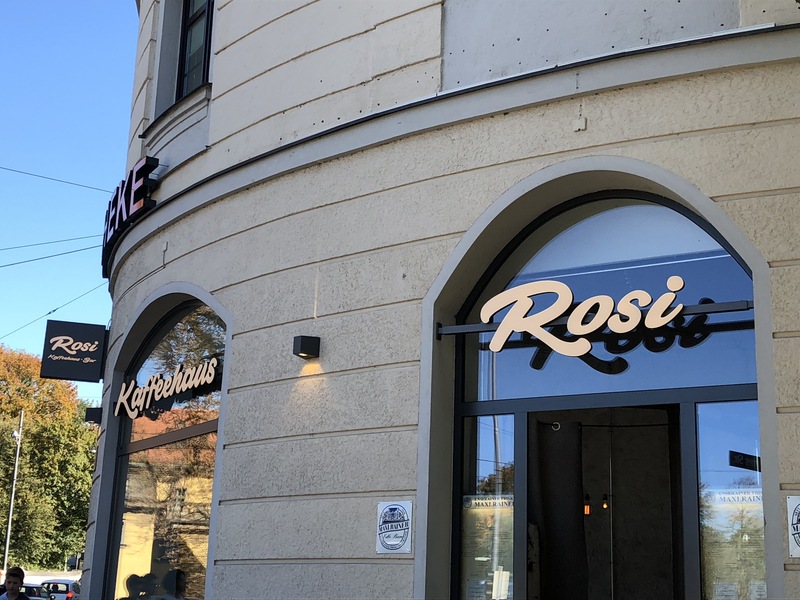 I’d been past Rosi a few times without realising it, as it’s located pretty centrally between Marienplatz and Rosenheimer Platz, just where you cross the river Isar. 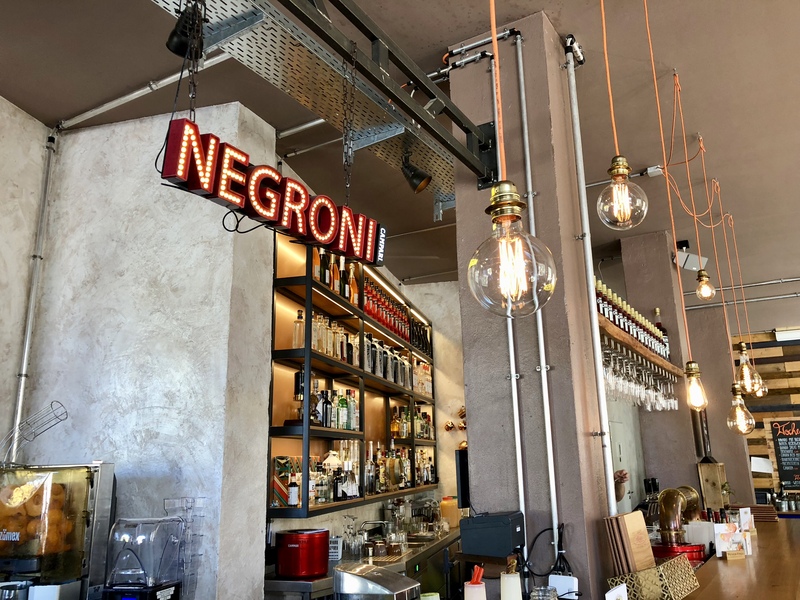 It has both inside and outside seating, and the decor of the quintessential hipster-gone-mainstream kind: gilded picture frames, a neon “Negroni” sign above the bar, oversized lightbulbs, and mismatched furniture. Overall quite fun, though I must admit, the petroleum barrels propping up an antique table were a little much for my taste! Food-wise, Rosi offers various types of breakfasts, distinguishable by country. “Greek” contains a feta and olive salad, there’s the classic “Boarisch” for those who crave their Weisswurst and Breze, and of course the menu contains a “Very British” option too. I went for the “Amerika”, as I can never turn down the bacon and maple syrup combo, but amongst the four of us, we managed to order quite a few different dishes! My bacon was wonderfully crispy, but the pancakes were unfortunately a little dry. The coffee was good, the various bowls of granola and Greek yogurt were very tasty, and the entire presentation was superbly pleasing to the eye (and of course, the ‘gram), but overall, nothing quite blew me away. And whilst the AKOI juice (apple, carrot, orange, and ginger) that came with my breakfast was refreshing, it lacked the crispness I like in a freshly squeezed juice. Maybe I’m just a breakfast/brunch snob after having lived in London for 6 years? 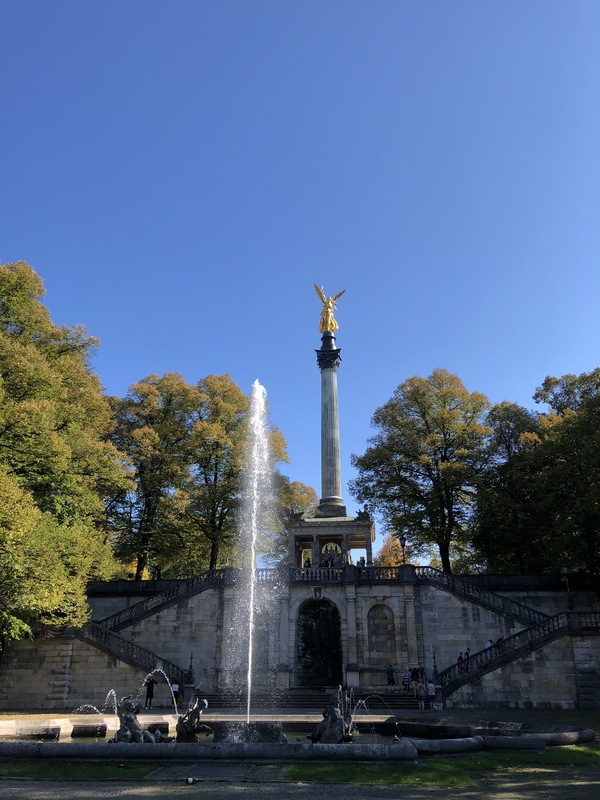 I certainly enjoyed the brunch at Rosi, and its proximity to the English Gardens and the Friedensengel (which we walked to afterwards) is awesome on a sunny day. 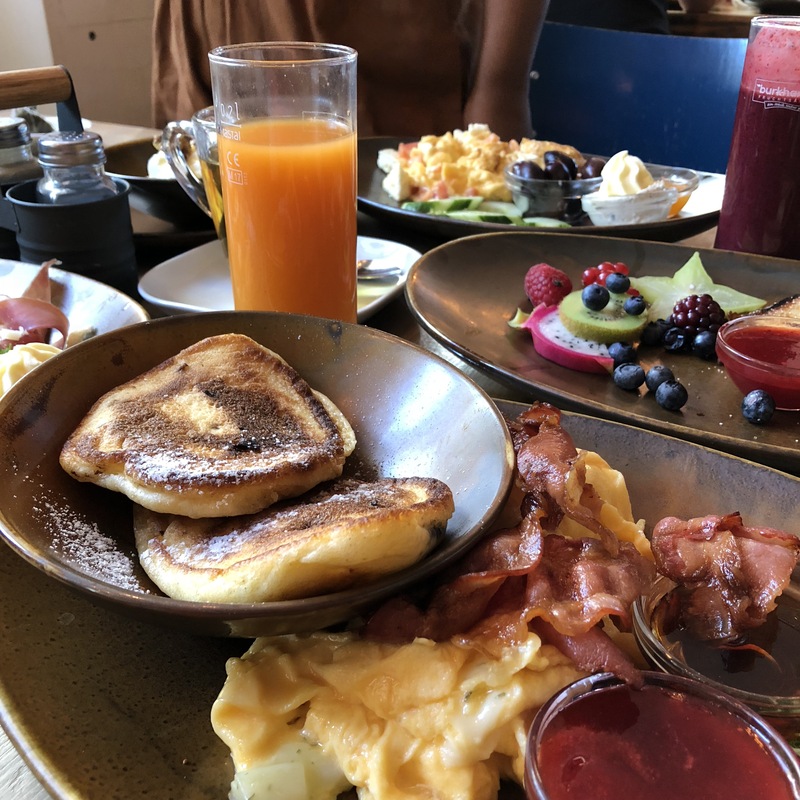 Having said that, I had brunch at Lavin’s Cafe in Schwabing a couple of weeks ago, which had superb food in a smaller, cosy setting, with very similar prices. With this in mind, I probably won’t be hurrying back to Rosi, as I’d rather discover more of what this city has to offer first! 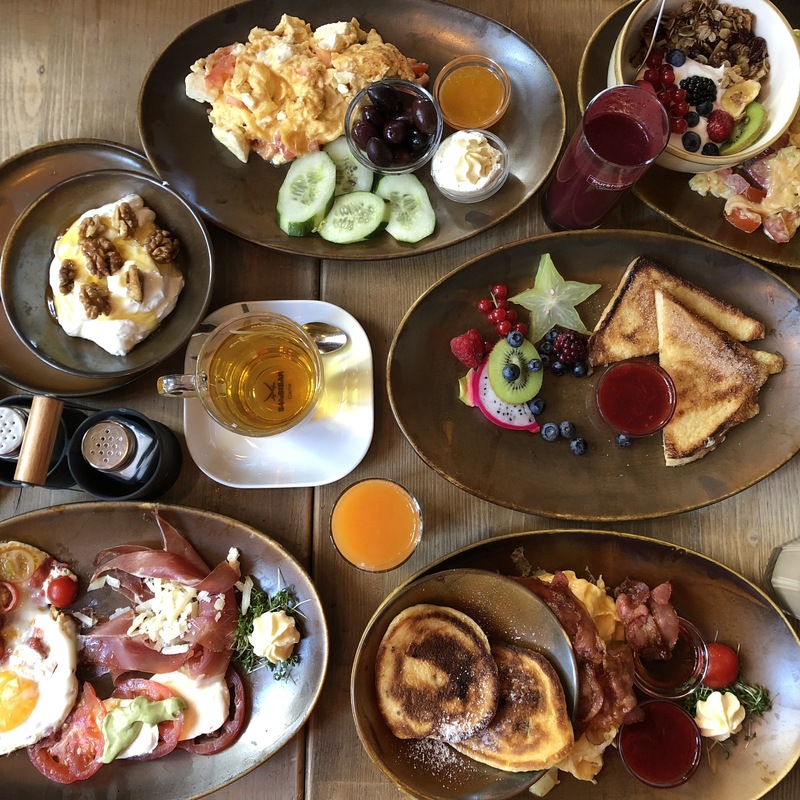 Look out for more Munich reviews soon – and if you’ve got any brunch recommendations, let me know!